Did you know that sugar is toxic to your body? I know, some of you might think that is going a bit overboard but it’s true. Sugar is a highly processed food that is null and void of any nutrients and loaded with empty calories. Not only does sugar rot your teeth and cause cavities but it’s also detrimental to your gut health. And then there are those sugar cravings that just…don’t…STOP! The awful truth? On average, most Americans are consuming nearly 66 pounds of added sugar per person every year. No wonder we have sugar cravings, right? But how do you stop eating and drinking it when let’s face it…it’s everywhere you turn. The whole idea is to enjoy the foods you eat, to have a healthy relationship with food, and to use food to bring you health. Taking out all added sugar is impossible, having a small amount in your diet is okay. Save your favorites to use sparingly in your diet and try using some of the advice I provide today to remove the “extras” that your body doesn’t need. In this blog I’m going to cover hidden sources of sugar, diseases linked to sugar, how to remove sugar from your diet and how to kick the sugar cravings for good! Oh and don’t forget to take the sugar cravings quiz to find out what your relationship to sugar is. So come on, read on to find out how you can upgrade your diet today. How do you know if you’re eating added sugar? This can be a tricky one. Most of us think of added sugar in dessert foods such as candy, cupcakes, cookies and cakes. Foods that we know are supposed to be sweet. Unbeknownst to us about 74% of packaged foods in the grocery store contain added sugar. Even the ones that use the claim “healthy”. Some of these products include yogurt, bread, energy bars/granola bars, ketchup, cereal, salad dressing, pasta sauces, nut/seed butters, dried fruit, blended juices/coffees/energy drinks and protein powders. If you’re wondering how to tell if there is added sugar in your food, check the ingredient list and then check the list on the Sugar Science page for a listing of 61 different ways you might see added sugar in the ingredients list. Yikes, right? You can’t just depend on the food label where it lists “sugars” under carbohydrates because this is a combination of natural and added unless you grab a package that specifically lists “added sugars”. An example may be, 2% milk. Milk has sugar but it’s natural sugar not added. So when you look at the food label and see 11 grams of sugar it can get confusing I know. What happens to your body when it’s running on too much sugar? Sugar Cravings/Addiction and Depression: Sugar is the kind of thing where you feel more is better, it’s never enough, the more you eat the more you want. That’s because sugar is addicting, it’s habit forming. It triggers the “reward system” we have in our brains by releasing dopamine and in return we experience a “high” from eating sugar. One big problem, if you’re consuming high amounts of sugar, you’re constantly releasing and depleting dopamine, and this leads to cravings, addiction, depression and tolerance where you want more! Autoimmune Diseases: Sugar is not only toxic but it’s also inflammatory, causing inflammation in the body. As you may already know, inflammation is typically the root cause of nearly every chronic disease. Increased Risk for Heart Disease: We have always heard too much fat can increase risk for heart disease but now sugar? Studies have shown that persons who consume about 20% of their calories from sugar are facing a 38% higher risk of dying from heart disease compared to others who only consume 10% or less of their calories from sugar. Stunted Energy Levels: Sugar is great for a quick “high” but soon you’re feeling the crash and burn. Eating foods with added sugar on a regular basis will cause spikes in blood sugar which in turn take a toll on your energy levels and also your concentration, digestion, cravings and mood. Transformed Gut Health and Immunity: It’s believed that sugar among other poor dietary choices changes the microbiota in ways that increases intestinal permeability known as leaky gut. 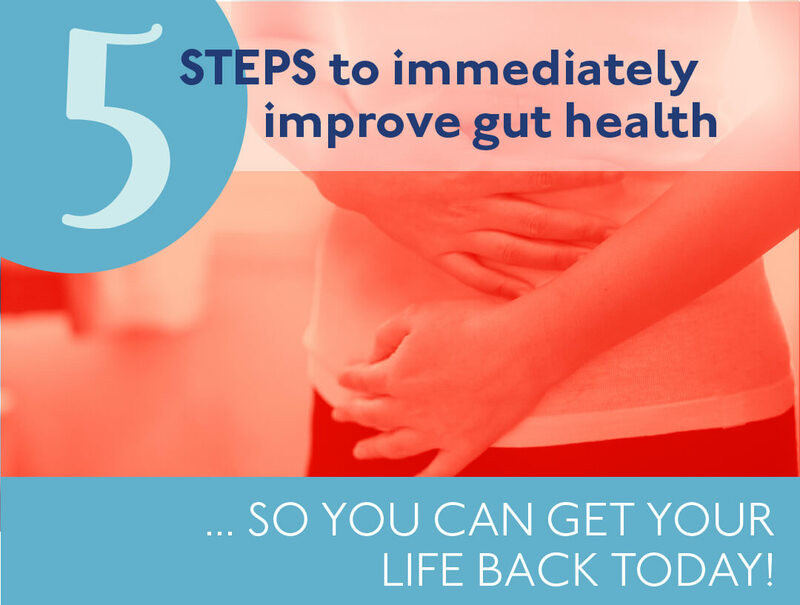 Leaky gut not only causes immune impairments but also a plethora of different symptoms. This might be one of the hardest things for you and your body to go through. Thinking about which of your beloved sugary foods or drinks you will start to pull from your diet might be a little daunting. Let me give you an idea of what some experts consider reasonable added sugar intake is for the day. We’re looking at 6 teaspoons (25 grams) for women and 9 teaspoons (37 grams) for men. If you’re wondering about your children stick to the 3 teaspoons or 12 grams of sugar per day guidelines. If you’re unsure of what this means let me give you an example. An eight-ounce glass of orange juice has 5.5 teaspoons of sugar. That’s equal to 20 grams of sugar. A 20-ounce can of soda has about 16.5 teaspoons or 60 grams of sugar. Yikes! Cut back on sugar-filled drinks. Drinks such as energy drinks, sodas, sports drinks, large amounts of juice and the beloved sweet tea in the south all should go. What can you drink instead? Try water (it’s free and has zero calories, it’s a win-win), sparkling water with a squeeze of lemon or lime, herbal tea or tea or coffee unsweetened or a new product I just heard about Spindrift sparkling water. Avoid sugary breakfast foods: If you’re not sure what I’m talking about let me fill you in, foods such as muffins, pastries, high sugar yogurts, pancakes and waffles with lots of syrup, pop tarts, donuts, granola and sugary cereals. Not sure what to eat instead, try plain oatmeal with fruit and chopped nuts, plain or vanilla Greek yogurt and again add fruit and nuts, eggs, smashed avocado or 100% natural nut butter on low sugar whole wheat toast. Take the sugar out of the house: If it’s there it will get eaten, am I right? Best advice, just don’t bring it inside the home. What will you do when you have a craving and there is nothing around? Stock your kitchen with low-sugar snack options such as fresh fruit, nuts/seeds, chickpea snacks, Simple Mills crackers or an ounce of good quality cheese. If you need help coming up with healthy snack ideas click on the link below and download my free guide. Avoid sugar laden desserts: Desserts are tasty but when eaten on a consistent basis they really can be the enemy when it comes to your health. They do nothing but spike your blood sugar, leave you with an afternoon low and even possibly make you more hungry and crave more sugar. If you’re really feeling the need for something sweet try fresh fruit, plain or vanilla Greek yogurt with a drizzle of pure honey and a dash of cinnamon topped with fresh fruit and nuts, baked fruit with a drizzle of cream, one-ounce of dark chocolate 70% cocoa or above and lastly maybe you would like to nibble on a handful of dates. Eat more whole foods: The more processed foods you take out of your diet and replace with whole foods you’re giving yourself personal control of what you are actually putting inside of your body. What’s sad, 90% of added sugars in the American diet come from highly processed foods. Only 9% comes from foods prepared from scratch at home. When you can focus on home cooking you help decrease the sugar in your diet. How To Kick Sugar Cravings For Good! First things first, nothing has to be done all at once. The idea is to be successful as you redefine your nutrition and your new diet. Remember, sugar is addicting. Going cold turkey or removing sugar guns a’ blazing might not be the best idea. But for some it’s either all or nothing just like someone addicted to alcohol or drugs. If going slow is for you how can you do this? Maybe you choose one sugary food/beverage that you indulge in quit regularly and just remove that from your diet. Or maybe, you start with decreasing the number of days of the week that you indulge in it. It’s okay to take things slow, give yourself permission to do so. I promise, once you’re no longer relying on sugar for a quick fix or mood booster you will begin to crave sugar less and less. So hang in there. Let’s go over some ways that you can kick the cravings for good. Control your stress: I know, it has nothing to do with eating but has everything to do with eating. How many of you are stress eaters, raise your hand. If you fall into this category, it’s okay it’s part of how your body is wired. When you’re chronically stressed it causes cortisol (fight or flight hormone) levels to rise. This moves sugar to the muscles to give them a burst of energy to fight or run from the current stressor. The problem…most of our stress is not physical it’s emotional/psychological. So now your body believes it needs a regular supply of sugar to fuel your muscles and in turn causing you to stress eat on lots of sugary foods. So now what…learn to destress, pamper yourself with some self-care. If you need some ideas check out my blog: Is Stress Making You Sick? Turn it up with protein: You’ve heard the term “good blood sugar control?” It’s important to decrease the number of highs and lows you have throughout the day. Keeping your blood sugar more balanced will help keep you from having cravings. Protein can help you with this, include protein into every meal. Use beans, nuts, kefir, wild fish, free-range eggs, and grass-fed beef to name a few. Eat healthy fats: Don’t worry it’s not going to make you fat. It’s going to help balance your blood sugars, help you feel full and fuel your cells. Healthy fats come from nuts/seeds/olives, extra-virgin olive oil, avocados/avocado oil, shredded coconut/coconut oil/coconut butter. Make time for your zzzzzzs: Yes, sleep matters! The more tired you are the more likely you are to grab some type of sweet treat to make you feel better. Am I right? Studies have shown that the less sleep we get the poorer the dietary choices. Usually, indulging on those sweet and junk food treats. The more sleep we get, the more we feel rested the better and healthier the dietary choices. Sleep can be one of the best and easiest ways to fight sugar cravings. Shoot for 8 hours of sweet dreams every night. Be equipped to handle emergencies: Because you know an emergency will happen. You will get caught somewhere, starving and not a good choice in sight. Blood sugar is dropping and now you’re HANGRY! Always have alternatives on hand. Fill your emergency pack with nuts/seeds, salmon or turkey jerky, a can of wild caught salmon, tuna or sardines, a piece of fresh fruit or berries. Lastly add some small packets of Artisana nut butters or coconut butter. Any of these snacks/foods should hold you over until you can get your hands on a more substantial healthy meal. Are you wondering if your sugar cravings are getting out of hand? Are you unsure if you need to implement any of the suggestions above. Take the quiz…where are your sugar cravings? Find out where you are on the sugar cravings scale. This might give you a better idea of what your relationship with sugar is. Remember, sugar cravings are reversible. By implementing some of the guidelines above you can start with small changes that will make a big impact. 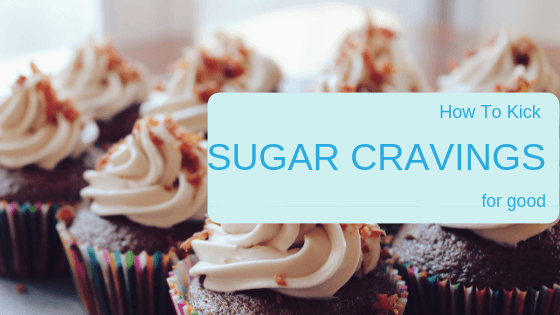 Get Your Sugar Craving Score Here! Do you ever wonder if you are addicted to sugar? Download my free guide and find out how many craving points you have.